What Is The Perfect Temperature for Sleep? If you are having trouble sleeping at night, sleep experts have plenty of helpful tips for you to try, including taking sleep medicine, switching out your mattress or using a white noise machine. However, while all of these suggestions are helpful, they won’t help much if your room is not kept at the ideal temperature for sleep. As it turns out, heating and cooling your room can make a world of difference. Your body has internal mechanisms that are responsible for heating and cooling your body, and these mechanisms decrease your temperature every night while you sleep. Your brain prefers to be cooler at night time. If your room is too hot or too cold, your brain has a harder time achieving your ideal temperature. It finds heating and cooling your body too strenuous. This can either wake you up in the middle of the night, or it can keep you from falling asleep in the first place. According to scientists, the best temperature for sleeping for most people is around 65 to 72 degrees Fahrenheit. This temperature range is just right for most people to achieve the deep sleep they need. Of course, the temperature that each individual sleeps best at will vary, even among members of the same family. It is not uncommon for some people to enjoy sleeping at a temperature as low as 60 degrees while others prefer a temperature as warm as 75 degrees. It all depends on the person and their individual heating and cooling preferences. If you are having trouble getting the sleep you need and you have tried all of the usual techniques without success, you may want to try additional heating and cooling at night to see if that has any effect. 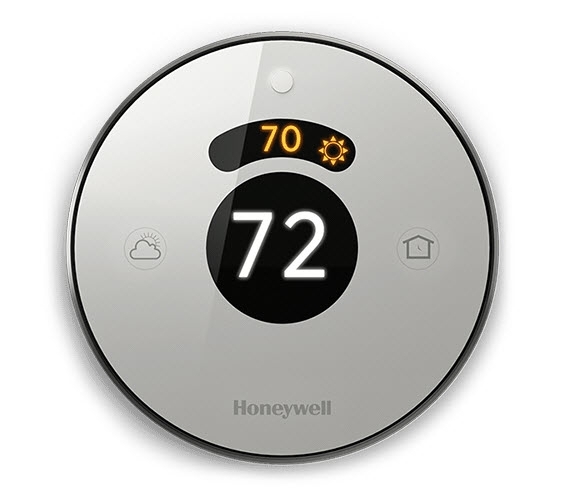 Simply raise or lower the thermostat a few degrees each night and see if it makes any difference. You never know until you try. A few degrees of heating and cooling may be all you need. We hope you enjoy this video! Carbon monoxide detectors are always on guard against the presence of the dangerous gas, and it’s important to check your detectors regularly to make sure they’re operating properly. Carbon monoxide (CO) is the most common cause of poisoning deaths in the developed world, so don’t take chances when it comes to CO safety in your home. Carbon monoxide gas is produced by fuel combustion. Malfunctioning or improperly-vented gas-fired stoves, furnaces and water heaters are all potential indoor sources of this invisible, odorless gas. Carbon monoxide detectors measure not only the level of carbon monoxide in the air, but also duration of exposure. When both factors exceed safe limits, the unit sounds a piercing alarm to alert residents. This monthly testing procedure is standard for most models, but check your owner’s manual to make sure. Press the “test” button on the front of the detector and hold it down for several seconds until you hear the alarm. Release the button when the alarm sounds. If the alarm fails to sound, verify that the unit is plugged into a wall outlet if it is an AC-powered detector. Replace the batteries if it’s a DC unit. Test again. Still no alarm? Replace the detector. Twice a year, install new batteries in a DC-powered detector. A detector that emits an intermittent chirp alarm may also require new backup batteries, which are utilized in the event of a household power failure. Need to get in touch with us or schedule an appointment? Schedule online or call us at 770-253-2665 today! Taking the time for home winterization will help you cut your heating costs and maintain a more comfortable home. It doesn’t cost much or involve a lot of hard work to prepare your home for freezing temperatures, and you’ll notice immediate improvements in comfort throughout. Seal the leaks. As temperatures fall, you may notice cool air coming in around the windows and exterior door frames. Caulk around the window frames will stop the leaks, and fresh weatherstripping around the doors will stop drafts. When the door doesn’t close tightly at the base, use a draft stopper or install a door sweep. Deal with the windows. If you don’t use storm windows or have thermal-rated windows, your windows can lose a lot of heat from your home 24/7. You can buy clear plastic window kits that stop some of the heat transfer outdoors. Depending on how many windows you have, the modest cost will easily pay for itself in lower heating bills. Clean the gutters. When rain or snow melt runs off your roof, it can collect in clogged gutters and freeze, forming ice dams. While the dams may not affect your comfort the first season they appear, when the ice melts, it can damage the roof and exterior walls. Should water leak into the attic, the insulation can absorb the moisture, rendering it less effective for protecting against heat transfer. Have your HVAC system serviced. Not only will this winterization tip help you save energy this winter, it will prolong the life of your equipment. Professional HVAC technicians clean and adjust the entire system, check the airflow through the system, and spot small problems before they become more serious. Switch the ceiling fan direction. Change the settings for your ceiling fans to take advantage of the warmer air that collects near the ceiling during the winter. Blades that turn clockwise will pull the air down and increase the warmth closer to the floor and middle areas of your rooms. Dirt accumulates in filters over time, especially during summer and winter months when your heating and cooling systems are in peak use. Dirty build-up causes clogs in filters, and when air can’t pass through easily, the system must work harder, causing overheating. Overheating can cause serious damage, and may even result in needing to replace the furnace. Clogged filters can cause dirt to build up in other areas of the system as well, causing pollution and extra repairs that wouldn’t normally be necessary. Remember how we mentioned a clogged filter can cause your system to work harder? That means an increase in your energy usage. According to the Department of Energy, heating and cooling account for almost half of the average home’s utility bills! Replacing your air filter regularly means that fan motor doesn’t have to work as hard, and you won’t be blowing tons of money on unnecessary energy costs. Poor indoor air quality can cause symptoms such as eye irritation, sneezing, dizziness, and respiratory problems. People suffering from asthma and allergies are significantly affected by poor indoor air quality. Homes with pets experience extra dirt and dander in the air. Changing the air filter in your furnace regularly will prevent dust, dirt, mold spores, soot, bacteria, and allergens from building up in the air inside your home. The life of your furnace and the health and safety of your family depend on regular heating system maintenance. Changing your furnace filter is a very simple way to keep your indoor air clean and avoid costly repairs to your heating system. A home’s comfort level is determined by who lives within the home. When evaluating your settings, you’ll want to consider, “What indoor temperature will provide personal comfort for my family and cost efficiency?” Some people like a home that is warm and some prefer a cooler environment. If you haven’t been consciously managing your temperature settings up to now, you might be surprised that changing your settings just a little up or down, depending on the season, will provide you with the same comfort you have enjoyed previously in your home. No matter what your preference, adjusting your thermostat — either manually or with a programmable thermostat — will ultimately help you save money.